The camera array creates dynamic 3D GIFs that emulate the "Bullet Time" effect made popular by The Matrix movies which can freeze motion from different angles. Enhance Your Event With Freeze Frame 3D GIFs! 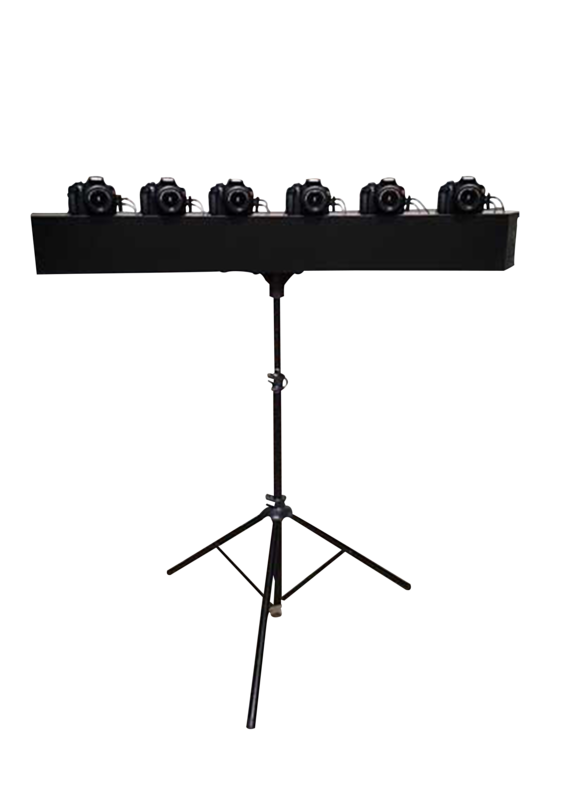 The Camera Array creates a freeze frame/ bullet time 3D GIF with cameras firing in sync from multiple angles.